Something I absolutely love is outdoor travel, I did a lot of it when I was younger but sadly don’t get to do as much anymore. Which is why I’m really excited about my family trip to Spain next week (!!). That’s right guys, twice to Spain in one year, pretty much all my Christmas’s come at once. This time I’m hiking in the Sierra Navada for a few days and then visiting the cities of Granada, Seville and Cordoba. Fun times! (So long we all get on, travelling in family groups of 9+ people can be tough….). 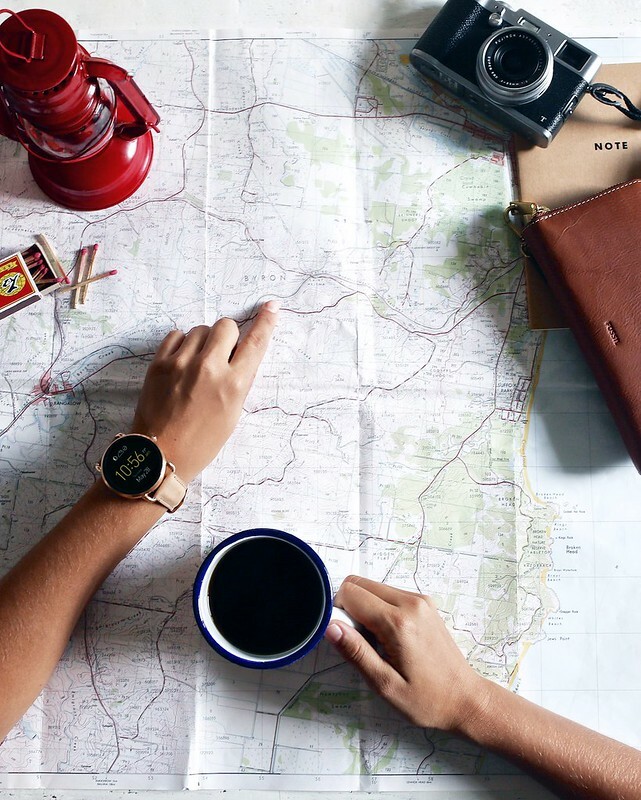 With my time in the mountains at the forefront of my mind, I got together with Fossil as part of the release of their Q Smartwatch, to share with you a few tips for packing for your next outdoor trip. Going analog (and digital) planning my trip with a map and the Fossil Q Smartwatch. You’re thinking duh! If you’re outdoors naturally you’ll need to know what the temperate will be. But more than that, I would suggest taking note of the variation in temperatures, particularly if you’re going up into the mountains or in the desert. In some places you find that there is a large variation in temperature between day and night, meaning you need to bring both very warm and also very light gear. 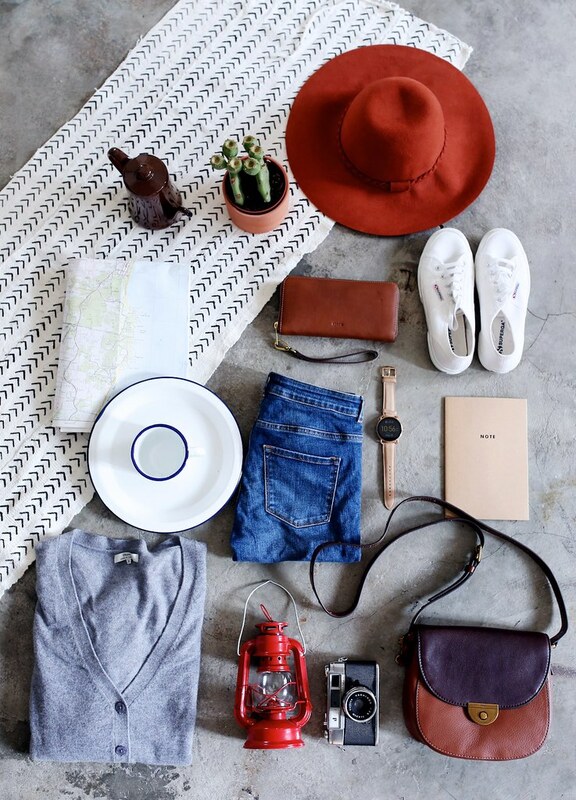 This one is obvious, but when you’re travelling outdoors you obviously want to pack as little as humanly possible…. Think of condensing the 5,4,3,2,1 guide down to just, say, 3,2,1 and 0. 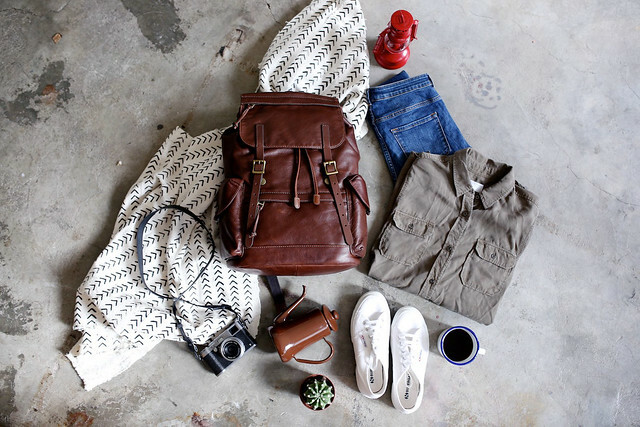 Naturally, a backpack is going to be your best friend. Another very obvious point. Make sure you look for one that’s reinforced for comfort and won’t stick to you too much if you sweat. I like men’s ones like this one because I find they’re more sturdy. I also like to take a smaller bag or canvas tote (make sure it’s light) along with me too for carrying anything I want direct access too during transit, backpacks can be annoying like that. Layering is absolutely key for when you’re outdoors, particularly in the event of varying temperatures, and the fact that you’ll be getting hot as you move around. As usual I like to stick to natural fibres for most of my layers, with a bit of activewear thrown in there for when I’m hiking – black leggings, balcony bra top and stretch zip up top are my usual uniform (for brands I like Lululemon, Nike and Cotton On). Make sure to always take something waterproof, provided it’s lightweight. Oh and don’t forget a few extra pairs of socks. Ok so for some this is sacrilegious, but running a business means that as much as I want to I can’t completely disconnect. Which is why I need to take my tech along, not my iMac mind you but some small pieces of tech that let me stay in touch with the studio and you guys (when service permits). 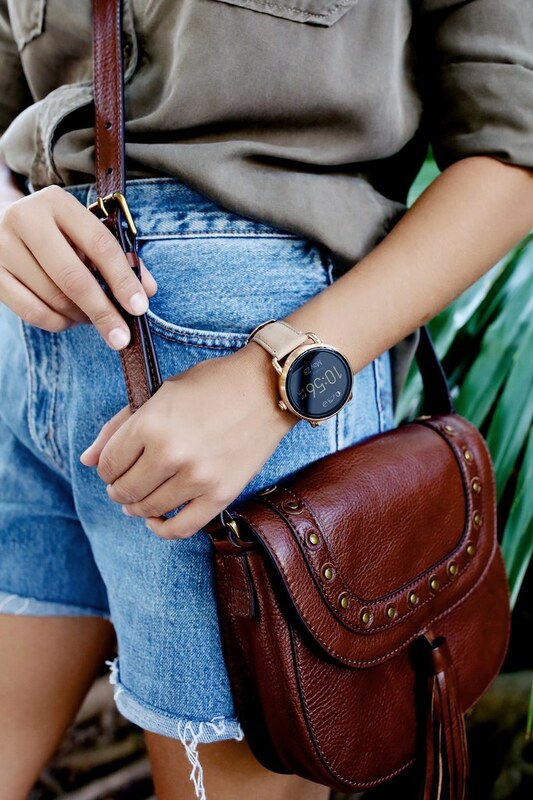 Which is where the Q Wander Smartwatch is useful, lightweight but not only can I leave my phone in my bag – need those hands for when I trip over – I can also track my activity levels across the day. Nothing like that glass of wine when you know for sure you’ve walked 22 thousand steps. Just remember to take a solar charger with you if you’ll be away from power outlets for a while. Back to basics with this one. You’ll definitely need a torch and/or a lamp for the evenings if you plan on camping, and even if you’re in cabins some extra light never goes to waste. And make sure you pack extra batteries, there’s nothing worse than reaching for your torch and it’s dead. Last but definitely not least, footwear is the most important part of what you pack, in travel generally but particularly when you’ll be outdoors. Depending on the type and duration of outdoor activities you’ll doing you may be able to get away with supportive sneakers, but otherwise hiking boots are the go. 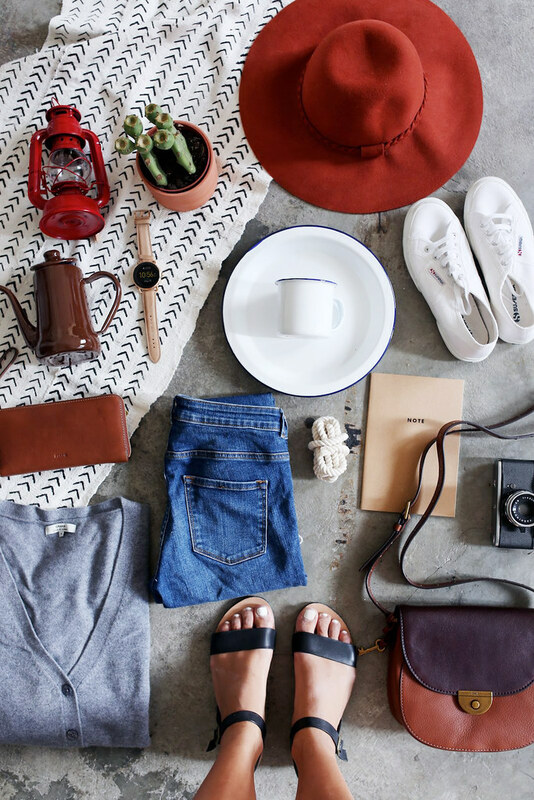 A lightweight pair of sandals is also great to throw in for any downtime you have. 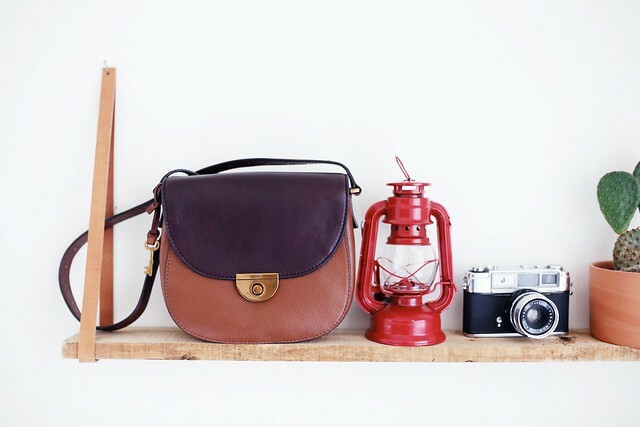 I’m really into backpacks at the moment, they’ve even replaced my usual tote even for every day! *sound of my back thanking me*. Make sure to also take some comfortable off duty clothes with you, this is what I’ll be wearing when I’m exploring the local towns in the mountains, if it’s not cold that is! If you’re staying overnight and need to take a lamp, make sure you check where you’re going doesn’t have any fire bans. If so opt for an electric lamp. Anything I’ve missed guys? I’d love to hear about any outdoor experiences you’ve had and what you took! ***Learnt this the hard way when I was a teenager, hiking a walk called Lost World in Queensland – we thought it was going to be 3 hours but got lost and it ended up being more like 12. We ended up having to follow a creak down to a local town, got in after midnight and mum broke her ankle). This post is in collaboration with Fossil. Photos by Bryant Lee and myself.